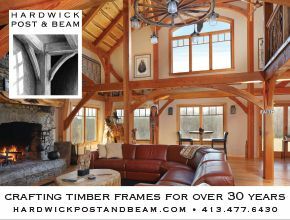 Timber framing has been practiced for centuries, and in North America we still build most of our houses and many of our larger buildings of wood. But there are different ways of making the frame or skeleton of the structure. 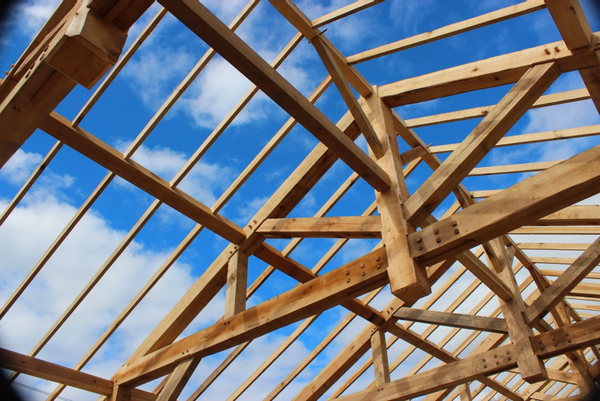 Whereas light frame construction includes many slender sticks of wood simply cut to length and nailed together, a timber frame structure uses fewer, much larger members, shaped at their connections to lock together. Light frame construction, even when carefully done, is considered rough carpentry, and in dwellings it is always concealed by finished walls and ceilings. 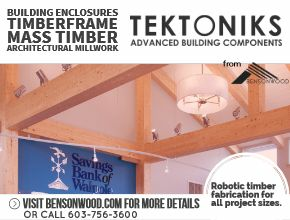 Modern timber frame work, by contrast, is generally exposed, and timbers can be as finely prepared as the skill and care of the craftsman allow. 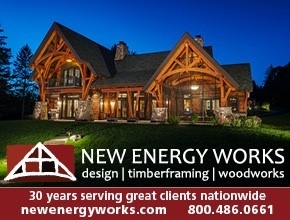 Today’s timber-framed house combines the best of the old techniques with the advantages of the new for structural integrity and energy efficiency.